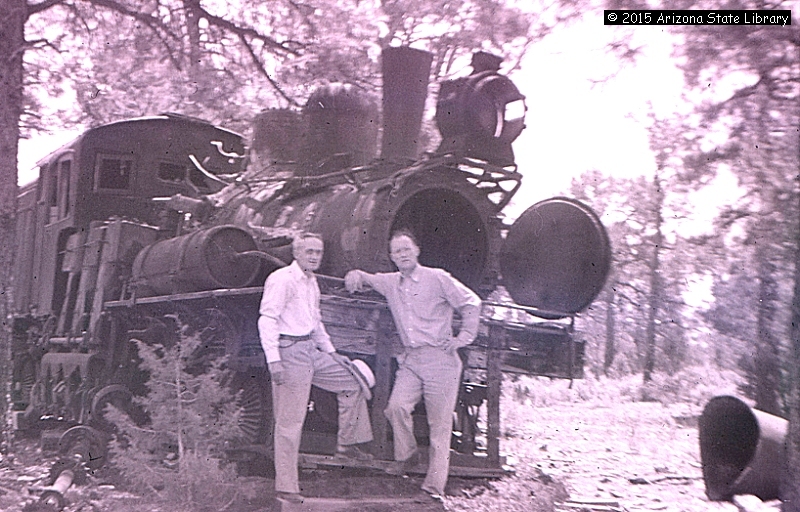 The photo is hosted at the Arizona State Library. 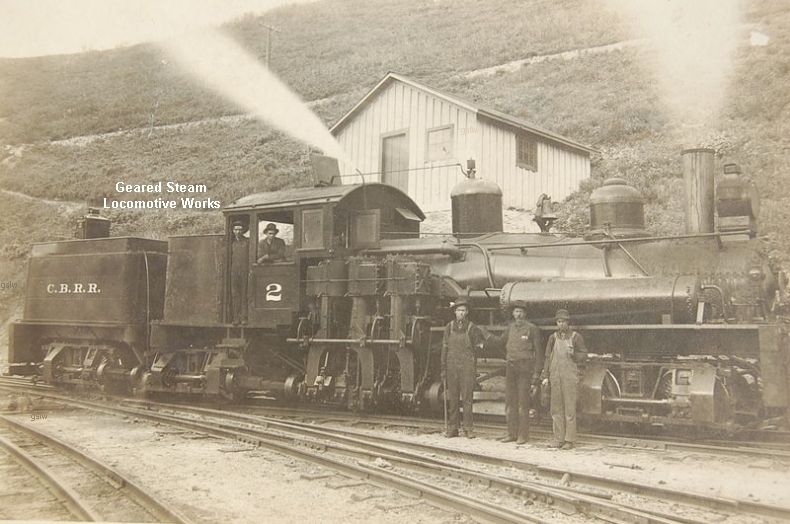 The photo is part of the Roger Eyrich collection. 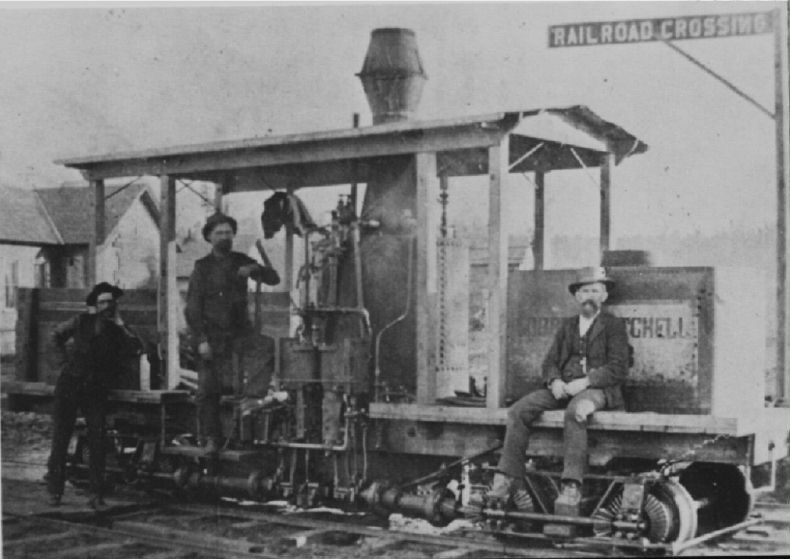 The locomotive operated near Chehalis, Washington. 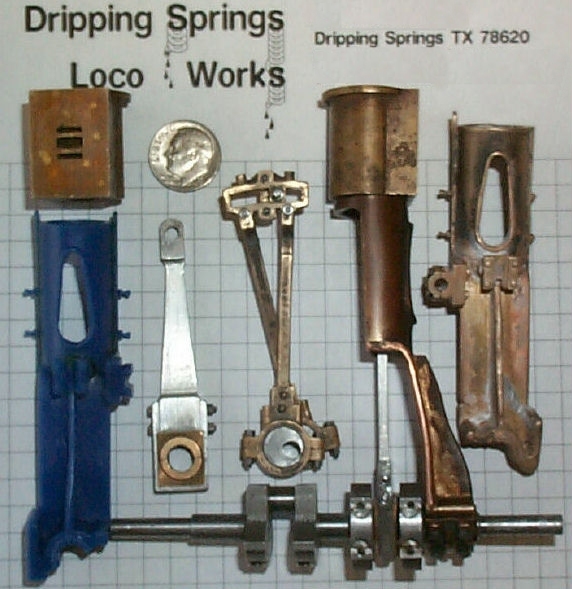 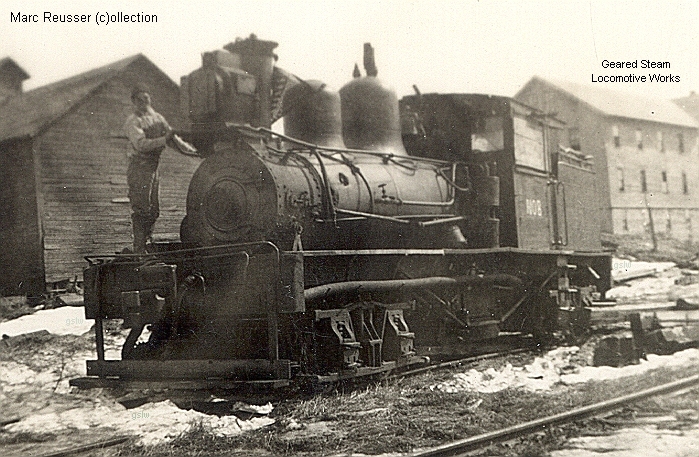 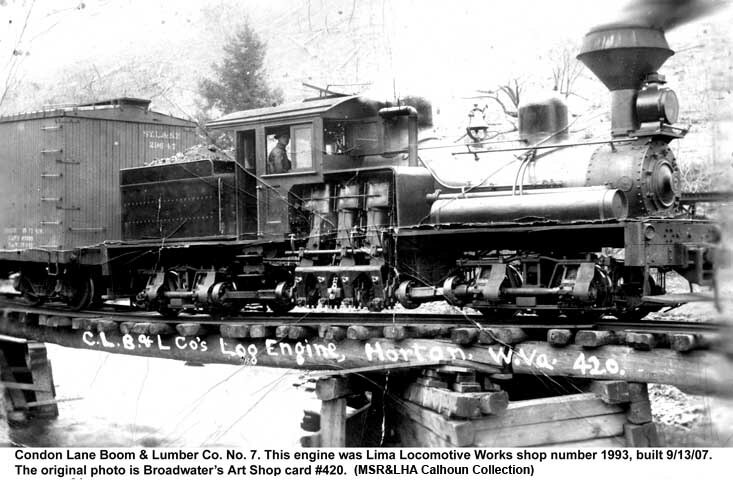 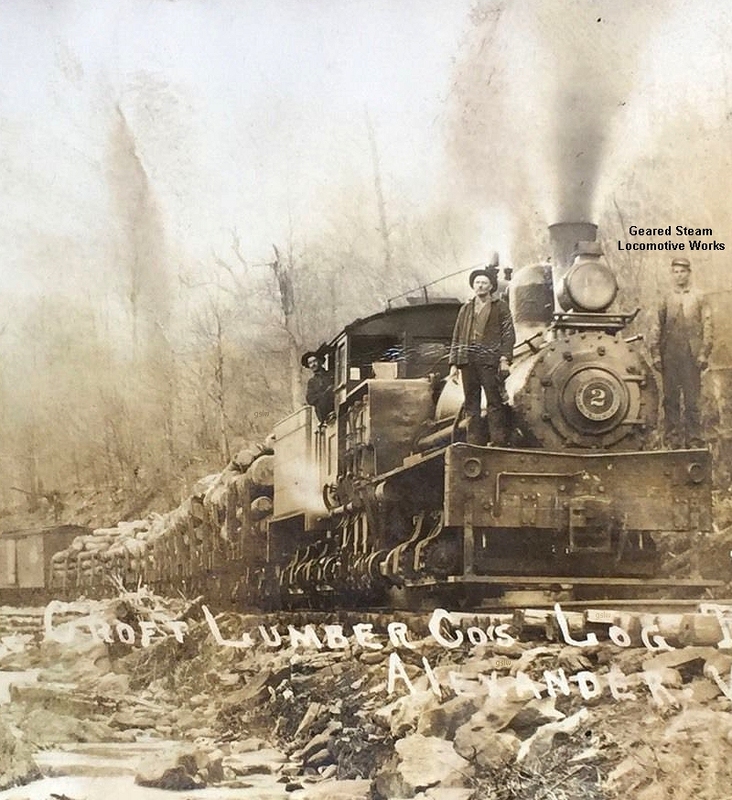 The locomotive was owned by the Blackwell Lumber Co. 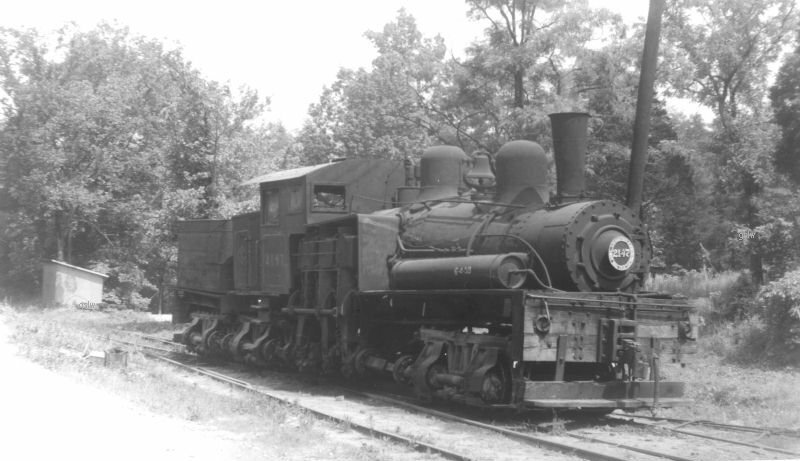 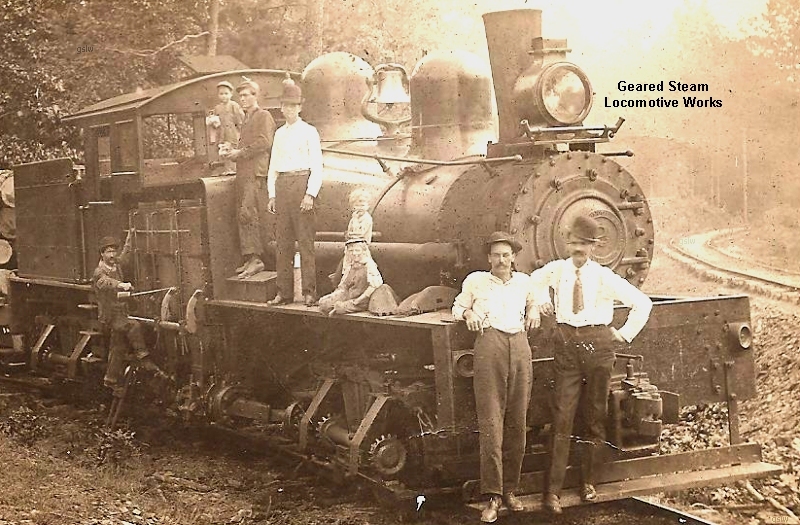 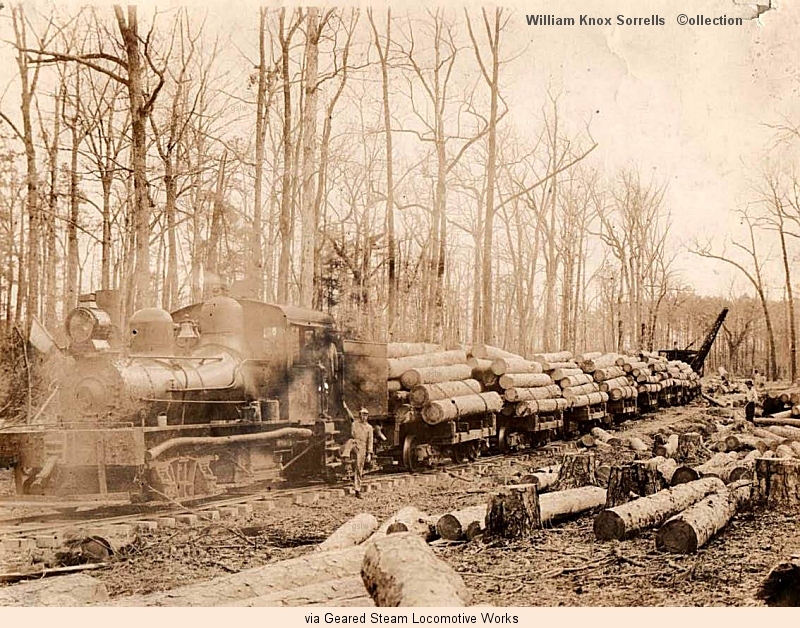 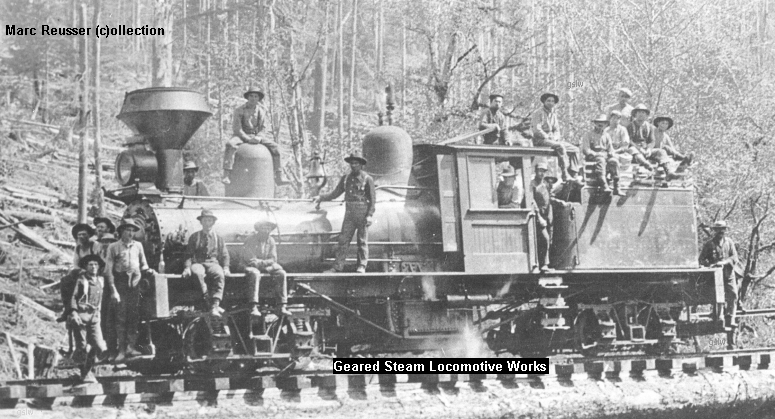 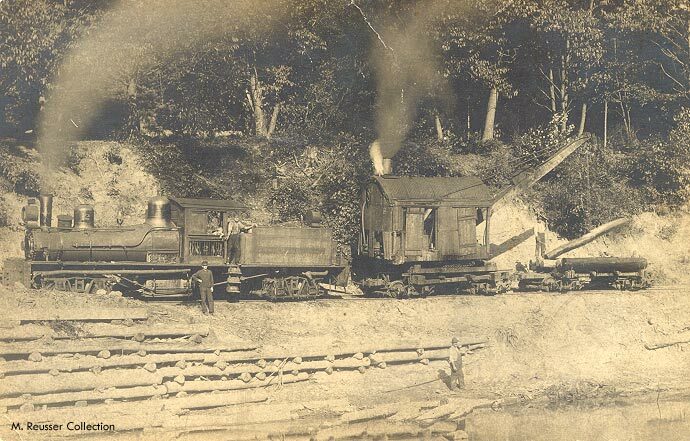 The locomotive operated near Lumber, Arkansas. 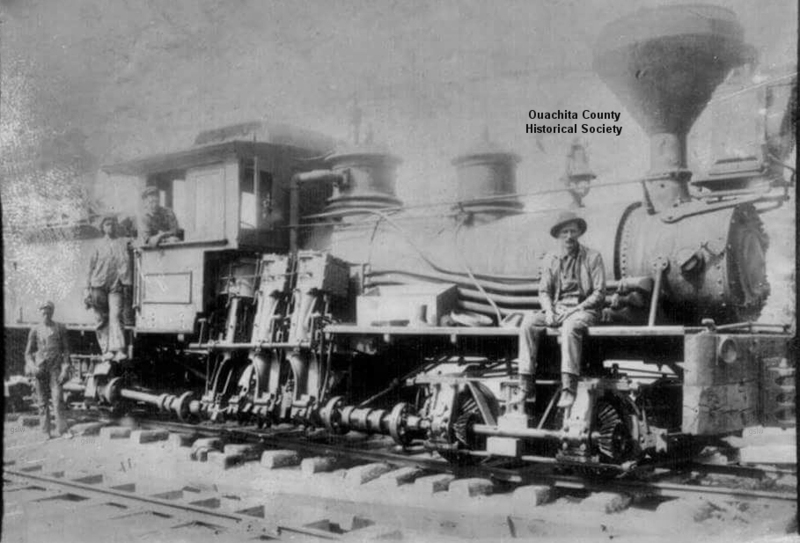 The image is from the Ouachita County Historical Society, Arkansas. 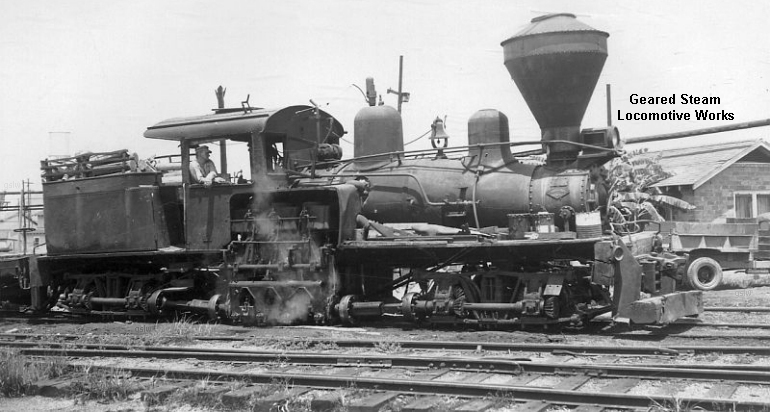 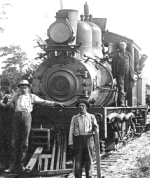 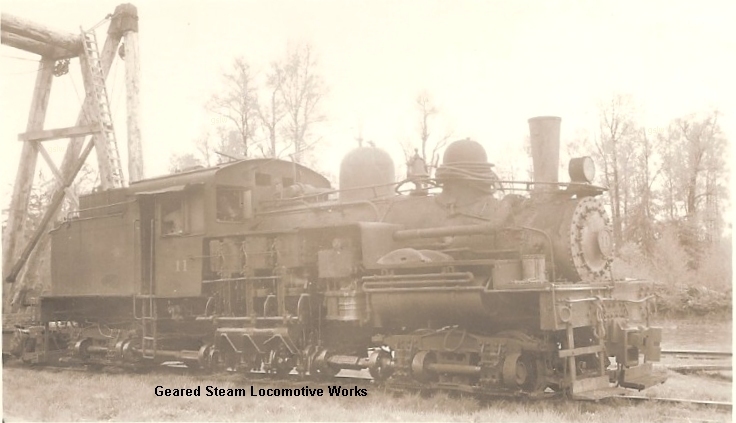 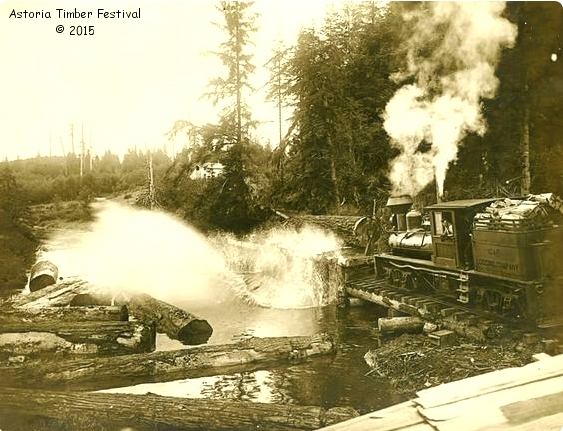 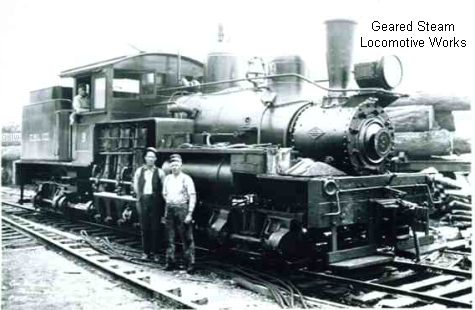 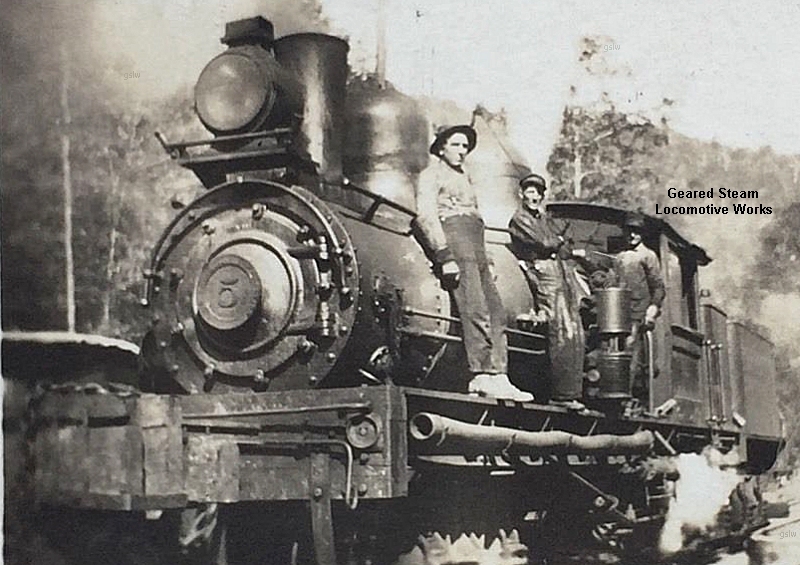 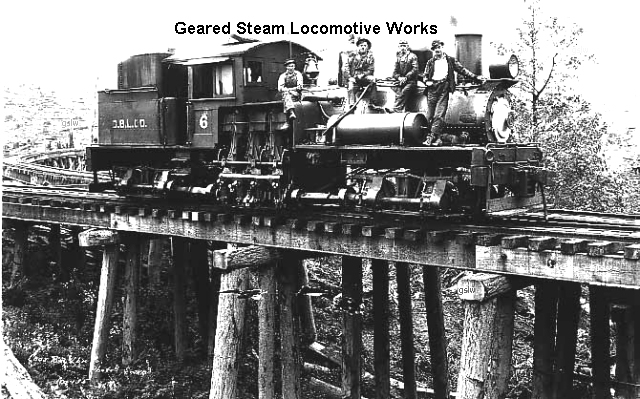 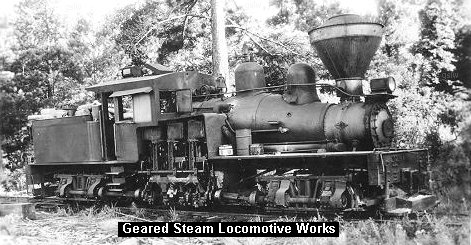 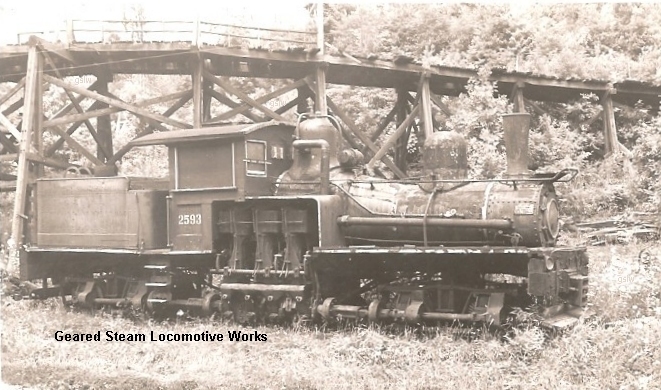 The locomotive was named "Wilbur" and operated on the company's Goble, Nehalem & Pacific Railway. 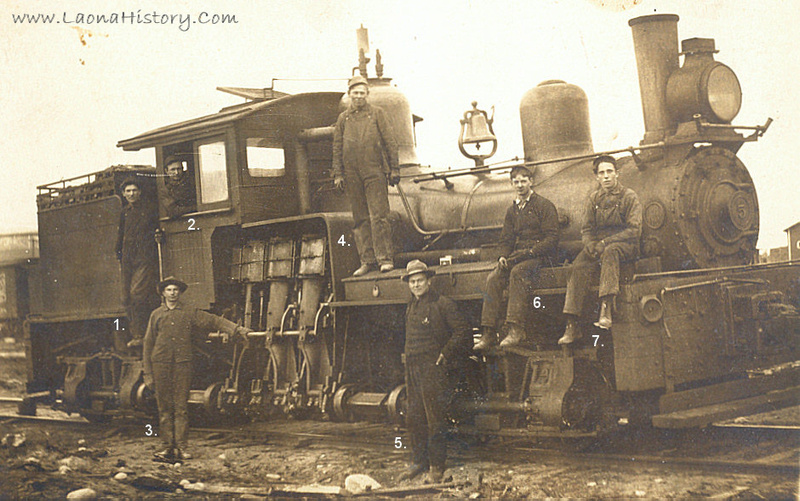 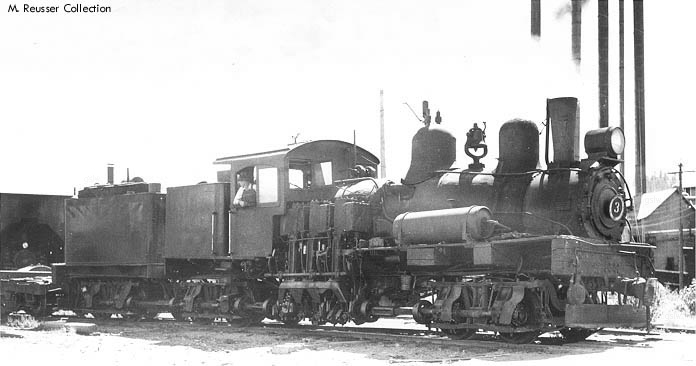 It was the company's second locomotive to be numbered "2". 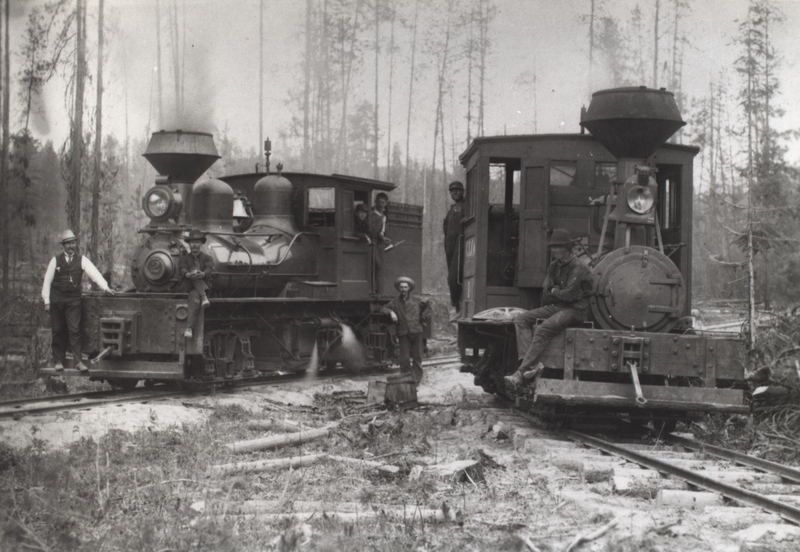 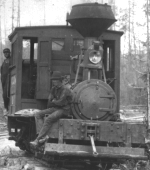 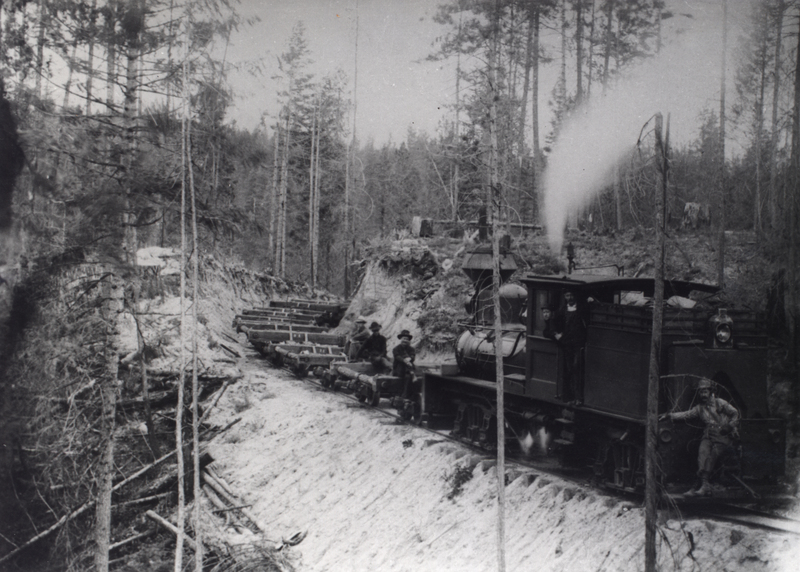 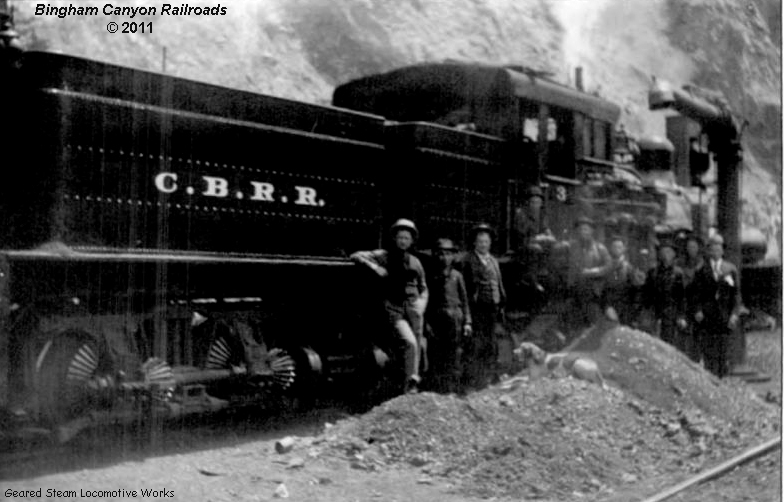 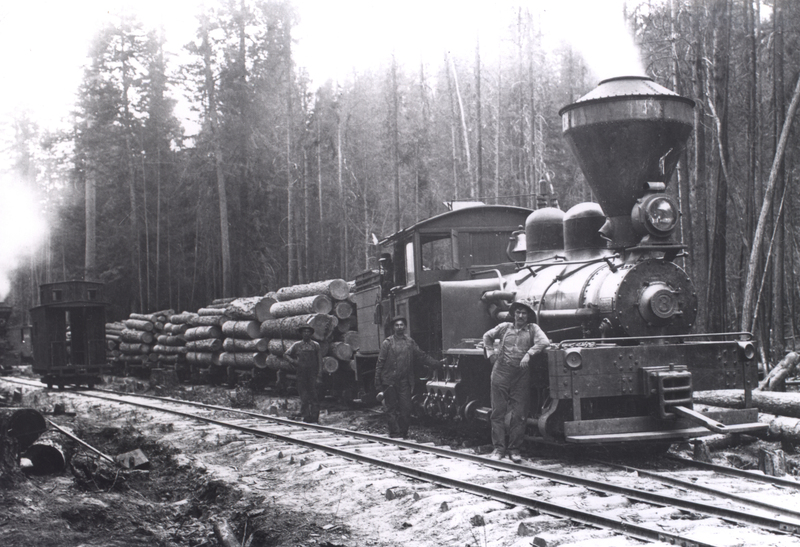 The locomotive operated at the company's Union Bay, British Columbia, Canada location. 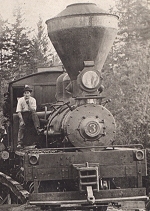 The photo by C.C. 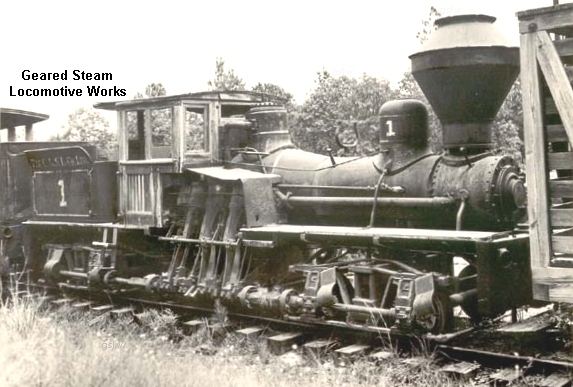 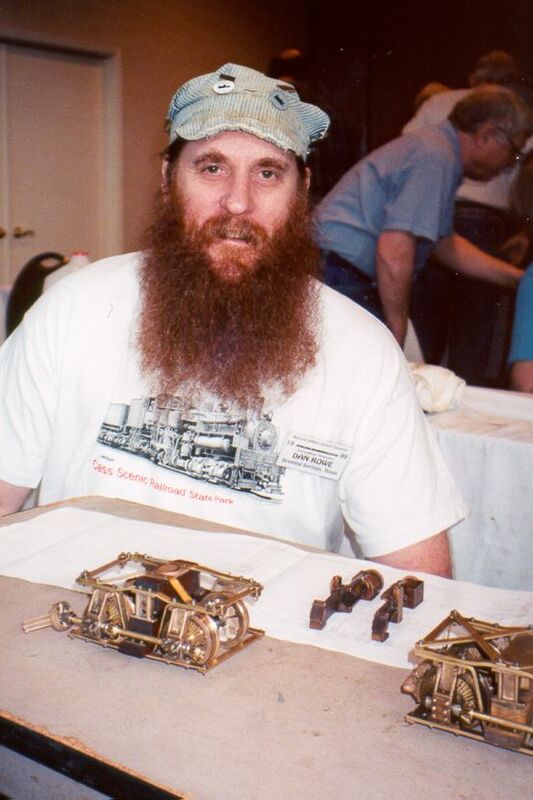 Tinkham is part of the Don Ross collection. 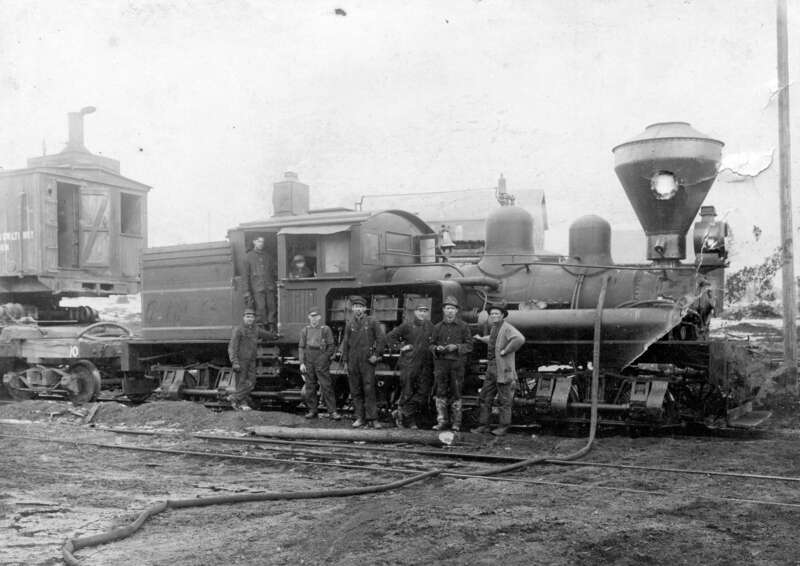 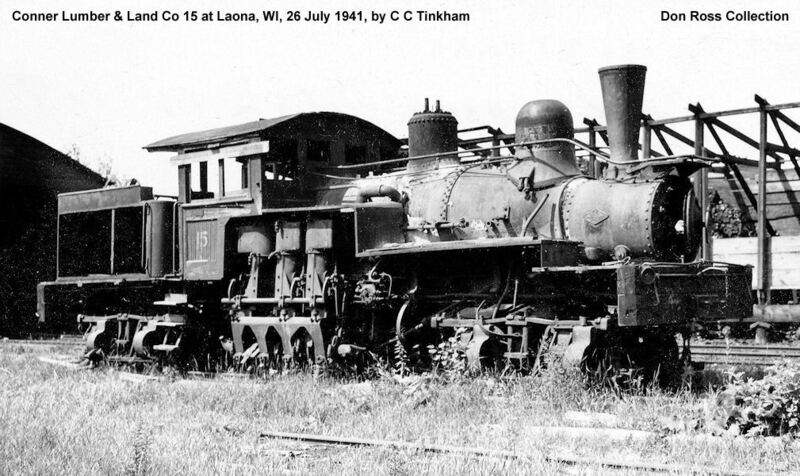 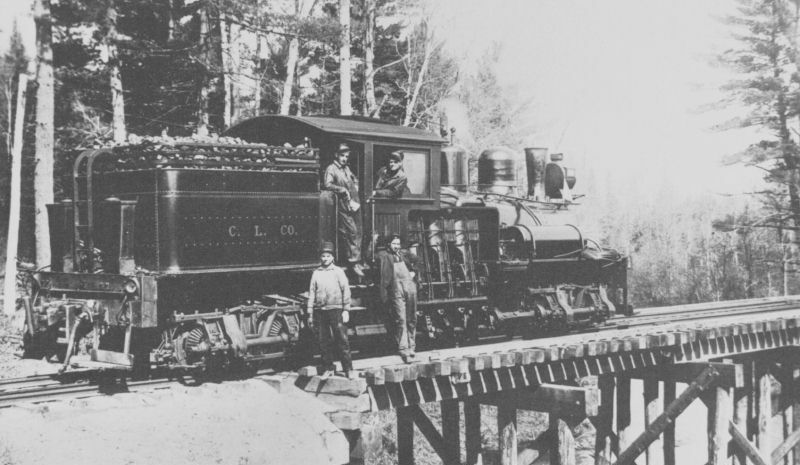 The locomotive operated on the company's Marathon County Railway. 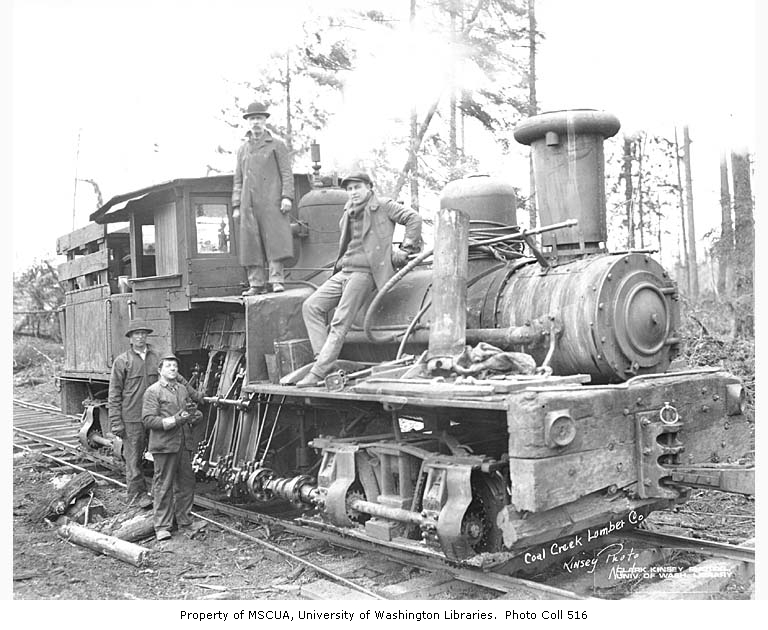 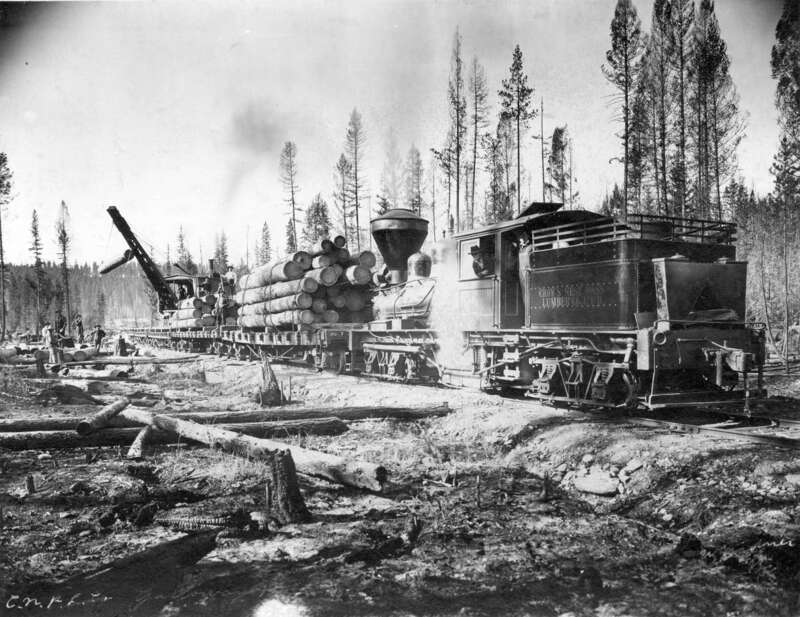 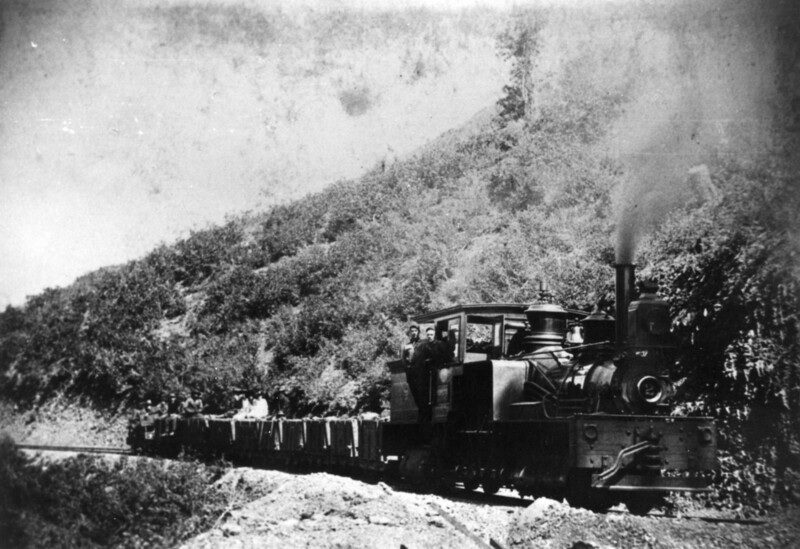 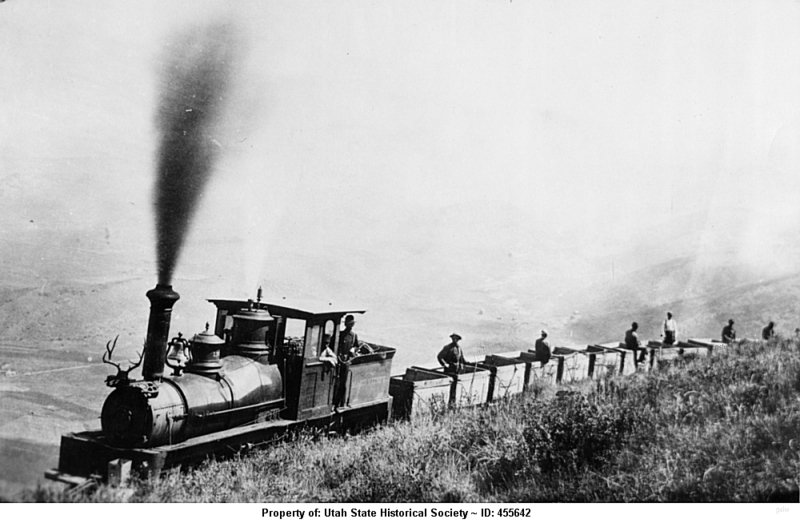 The locomotive operated near Elk, Washington. 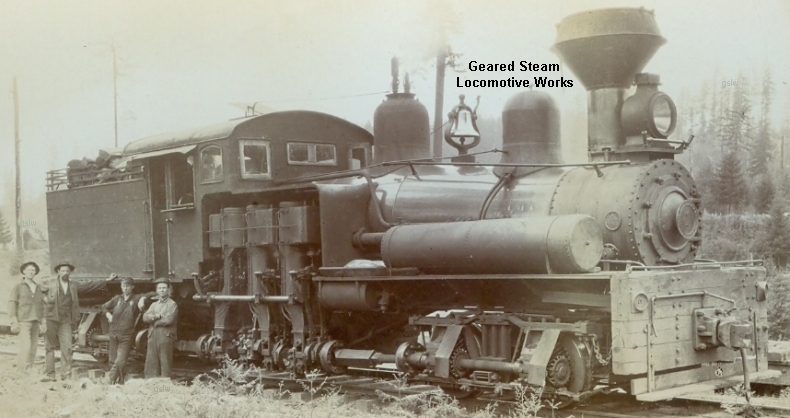 At left in upper photo. 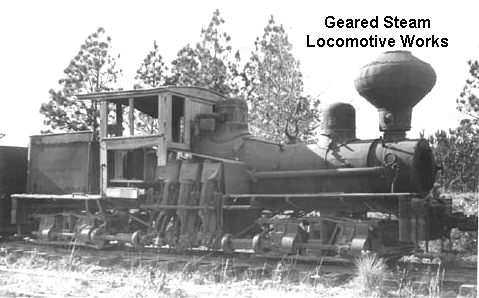 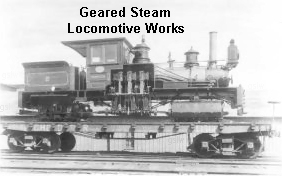 The locomotive operated on the company's Pennsylvania Southern RR. 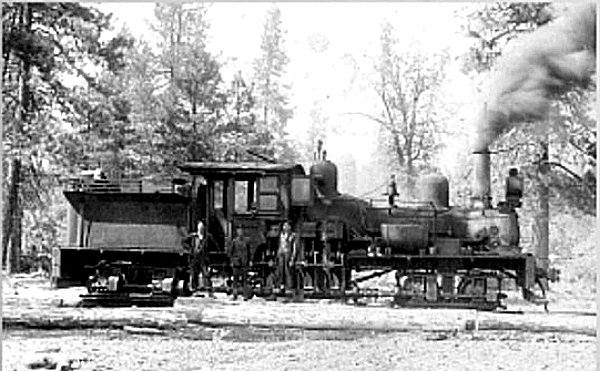 The locomotive operated near Powers, Oregon. 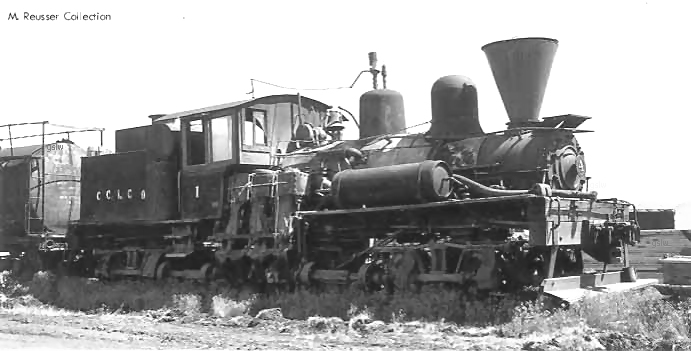 Photographed in the 1950's before the being scrapped in 1954. 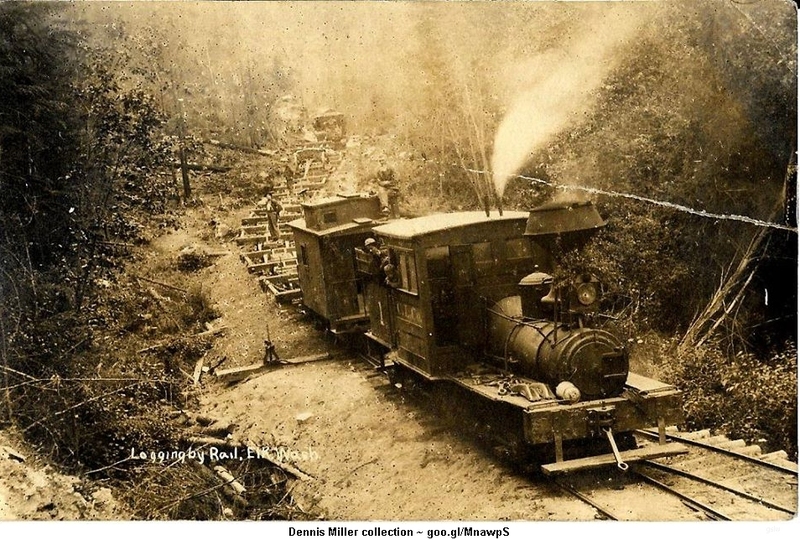 The locomotive operated near Coquille, Oregon. 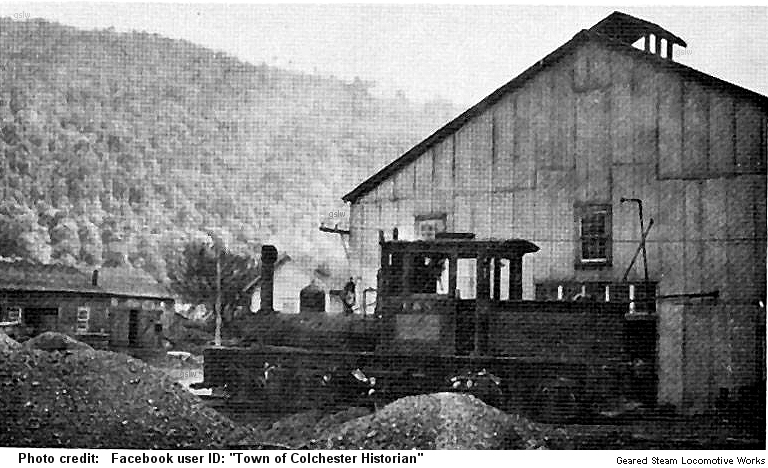 Craig, John J. Co. #2147 - s/n 2147 - near Friendsville, Tennessee - taken after 6/4/1959. 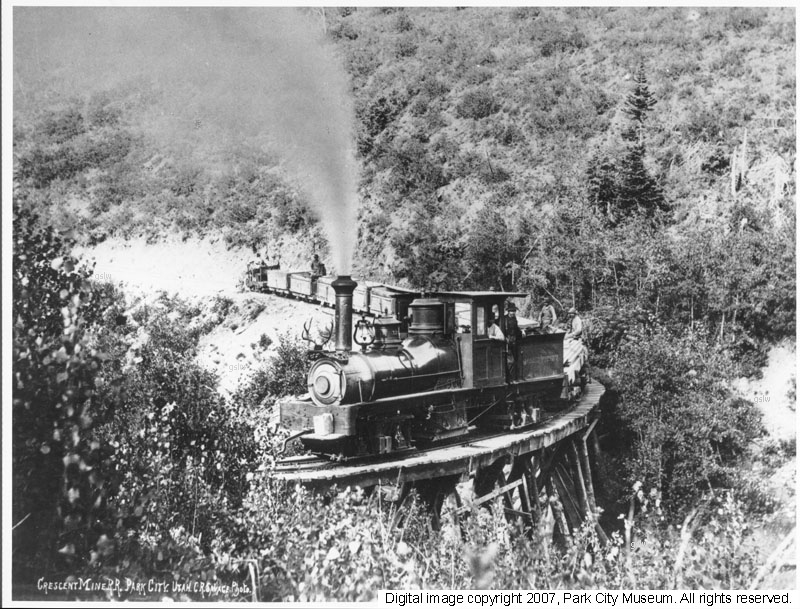 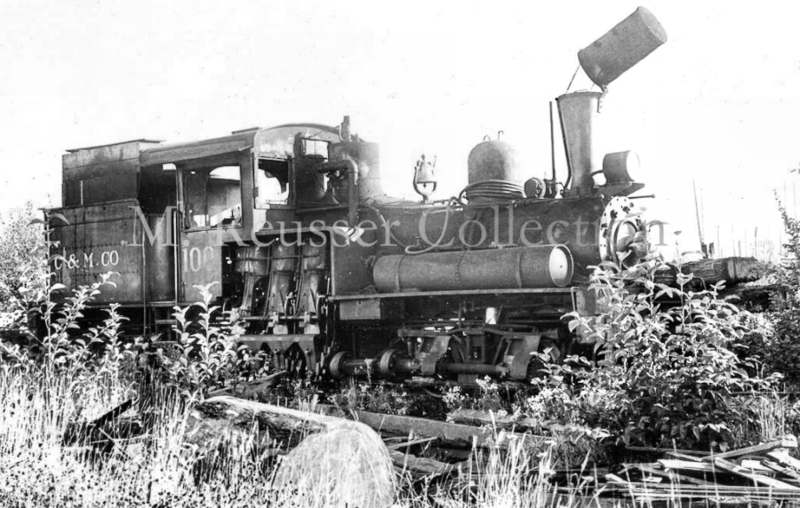 The locomotive, named "Prospector", was owned by the Crescent Mining Co.
Photographed on the Minnesota and International Rwy. 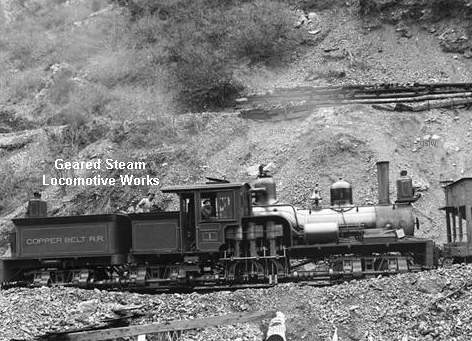 This is the company's 2nd Shay with the road number #1. 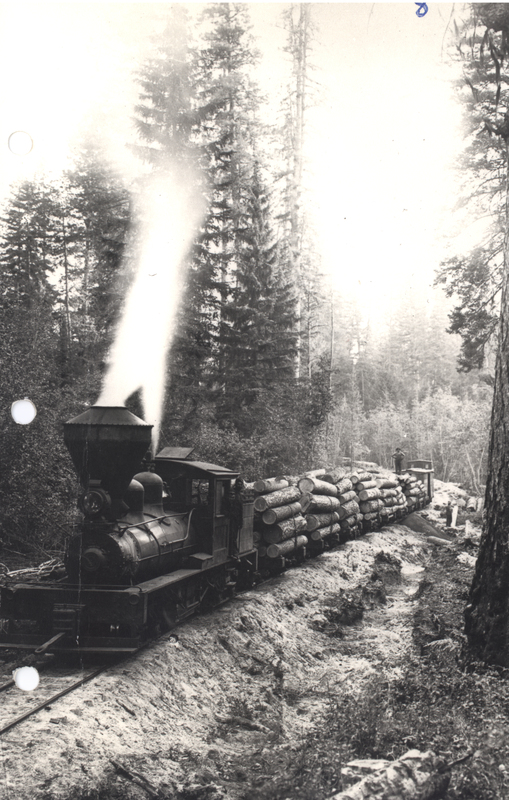 Photo from the Harold K. Vollrath collection. 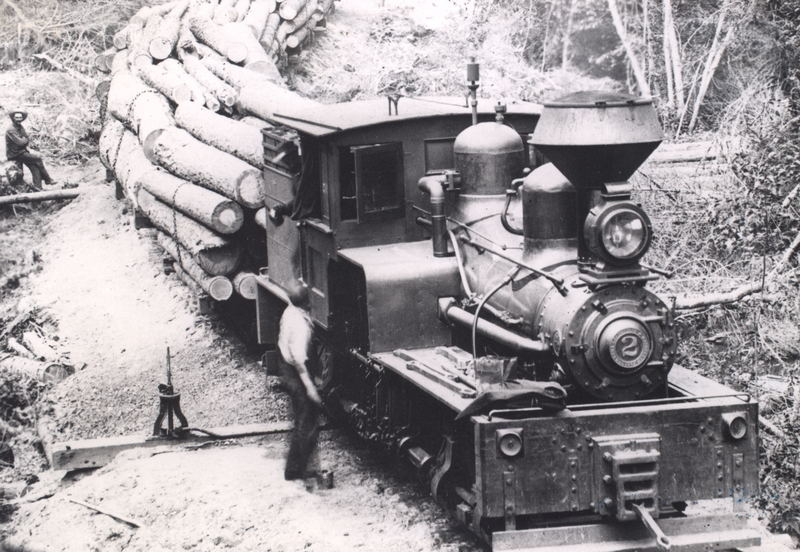 Crowell & Spencer Lumber Co. Ltd. #1 - s/n 482 - near Long Leaf, Louisiana in 1950. 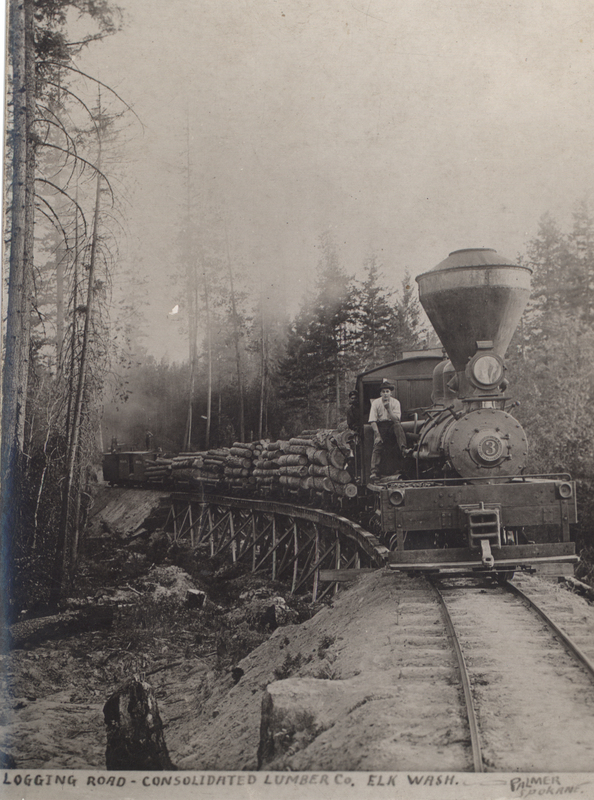 The photo is part of the William Knox Sorrells collection. 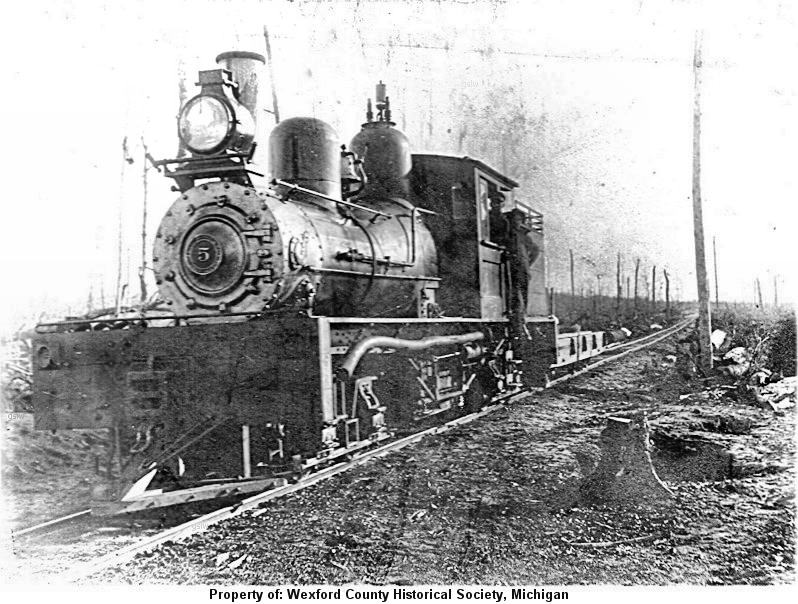 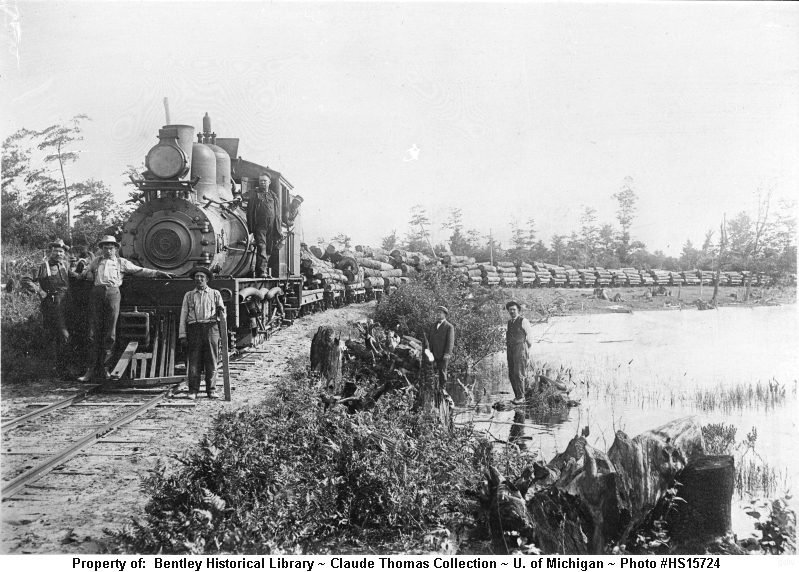 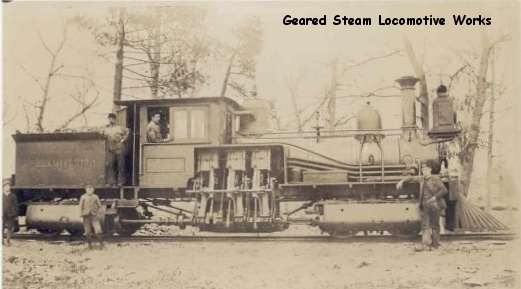 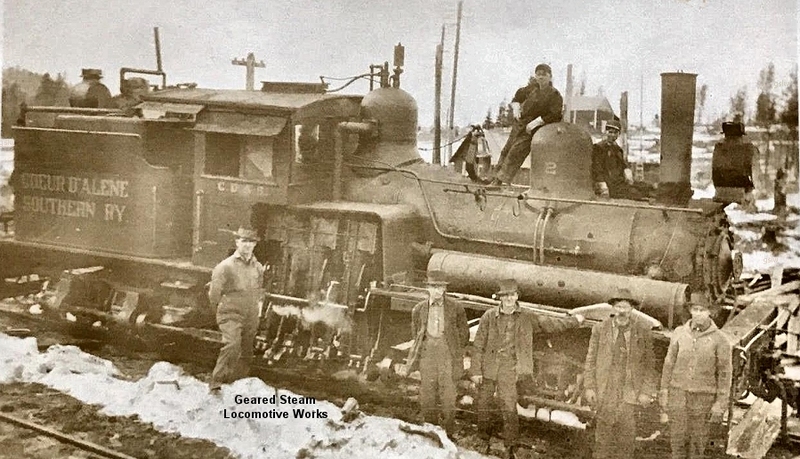 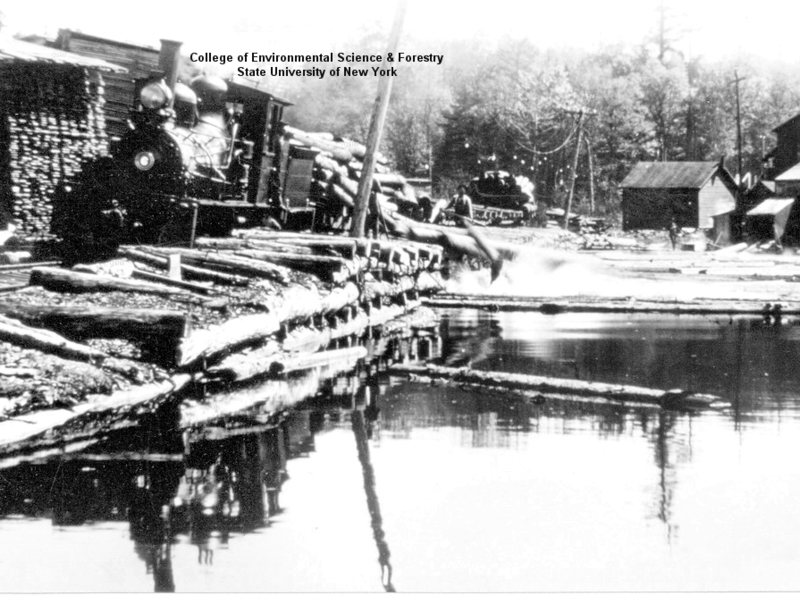 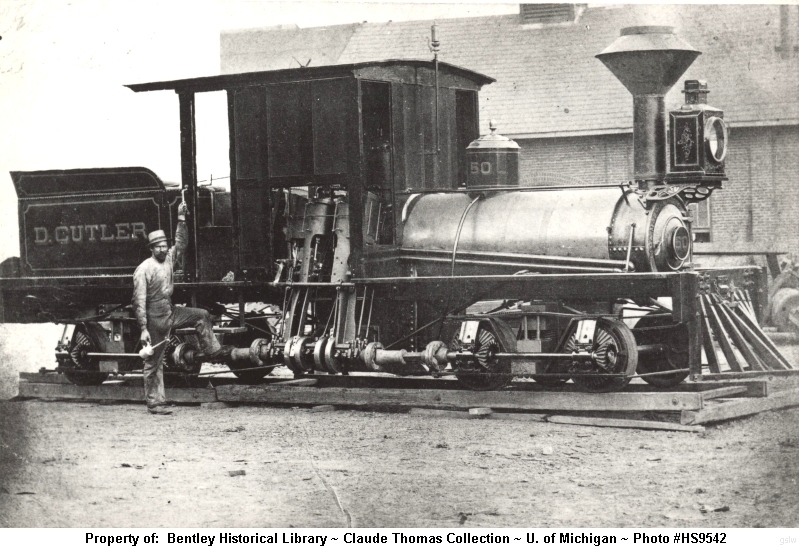 The locomotive operated near Cadillac, Michigan. 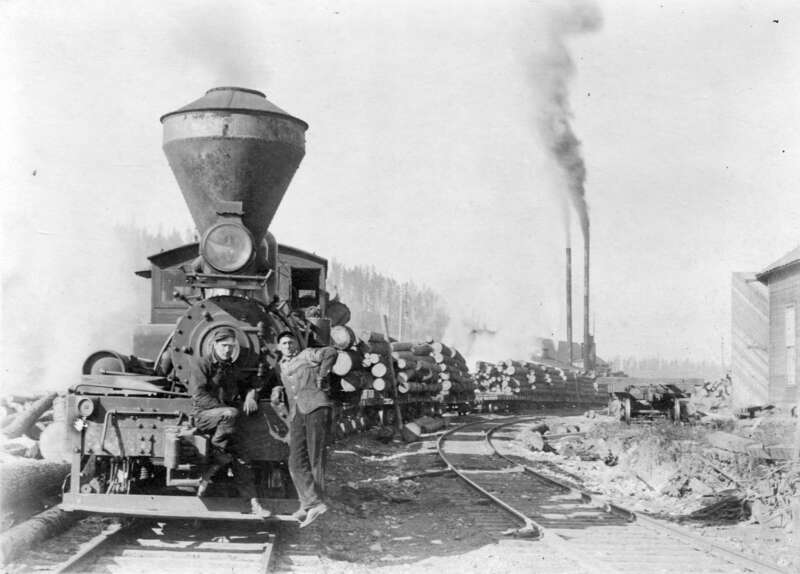 The locomotive operated near Mill City, Oregon. 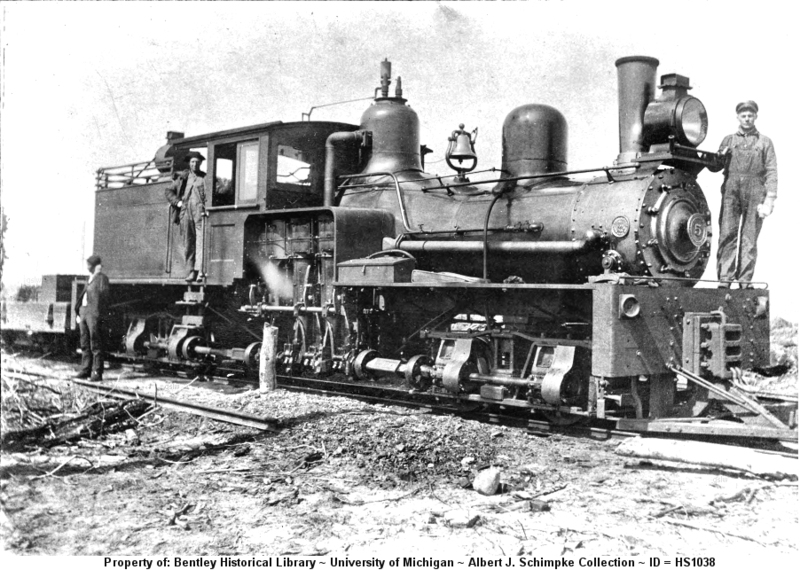 The locomotive was named "D. Cutler".